One of the most valuable resources Blue Cliff has to offer is its extraordinary team that is dedicated to educating and transforming Blue Cliff students. 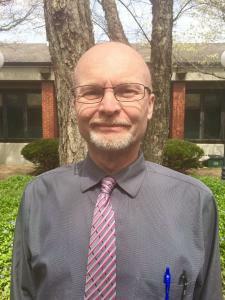 Monty Caywood is the Director of Education at the Fayetteville campus. He believes, along with other staff members that there is nothing more valuable than receiving an education from a reputable and honorable institution. Apart from education itself, attending college develops lifelong values such as; developing friendships and continuing to grow as a person. The experiences gained while going to college helps students and gain confidence within themselves by having a deeper understanding of their character. Monty has worked for other colleges and has deemed Blue Cliff the best. This is attributed to many factors such as having a positive corporate atmosphere, the up-to-date curriculum for all of Blue Cliff’s programs, and most importantly the focus truly being centered around the student. Blue Cliff is dedicated to looking for ways to assist the student in completing their goals both academically and professionally. Because of key fundamental, Blue Cliff is proud of their graduating students and assured that they are educating and diversifying high quality working professionals into fields such as Massage Therapy, Cosmetology, and Medical Assisting. When Monty is not at Blue Cliff College, he loves to grow vegetables; especially tomatoes. For the last 15 years he has made and canned his own salsa. He has a passion for building – Monty volunteers with local groups and organizations that build homes for low income families. Additionally, his love for helping others is emphasized by repairing damaged computers and donating them to needy families during the Christmas season.